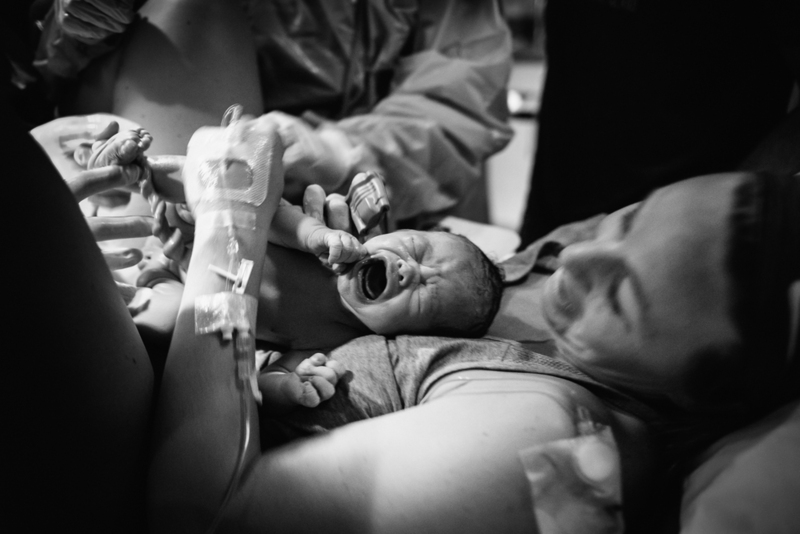 Birth stories are anything but predictable, and that's one of the reasons I love photographing them so much. 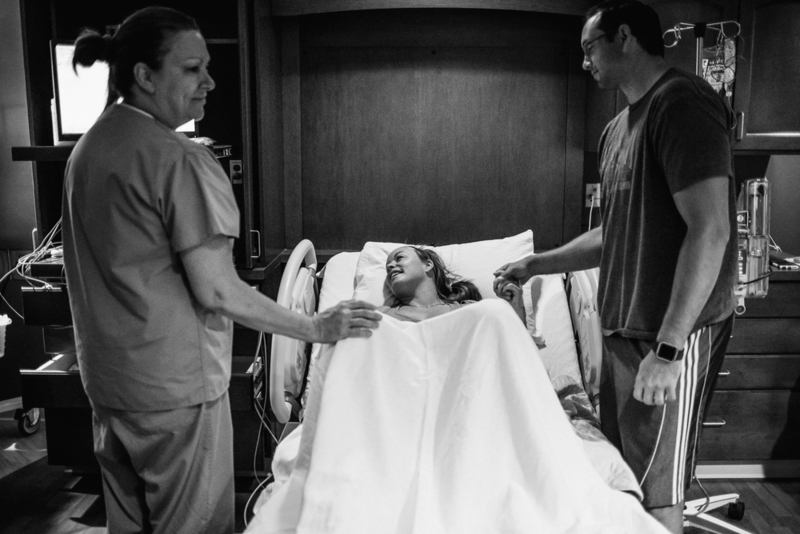 Witnessing a woman's journey when bringing her child into the world is always inspiring and never the same as another woman's. 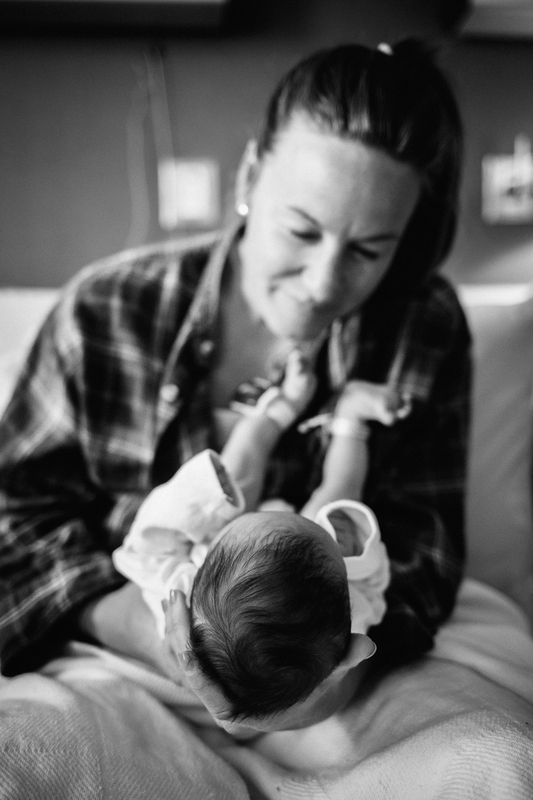 No matter how different each woman's stories may be, though, there is always a common thread of strength, determination, and perseverance that can only come from a mama's heart that equips her with what she needs to do the job set in front of her. 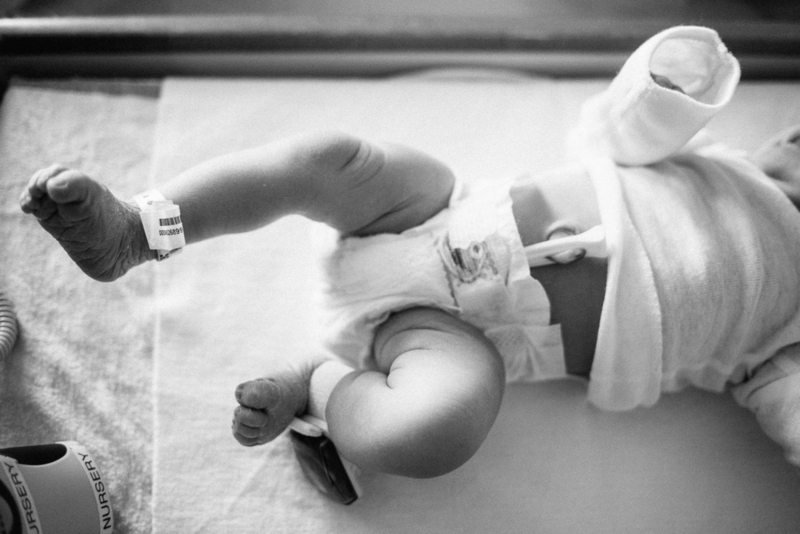 This birth story was even more unexpected than I had imagined it would be. 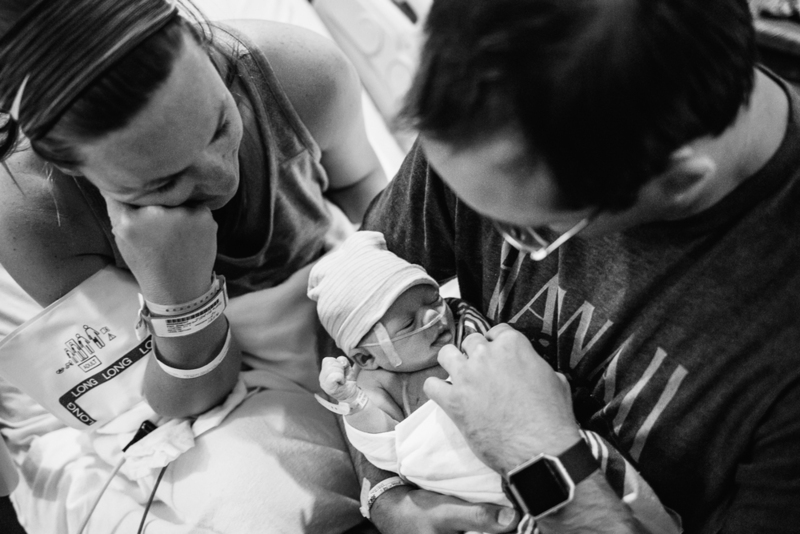 Shallon contacted me Tuesday around midday to let me know that her fluid was low and she was heading to the hospital to be monitored. 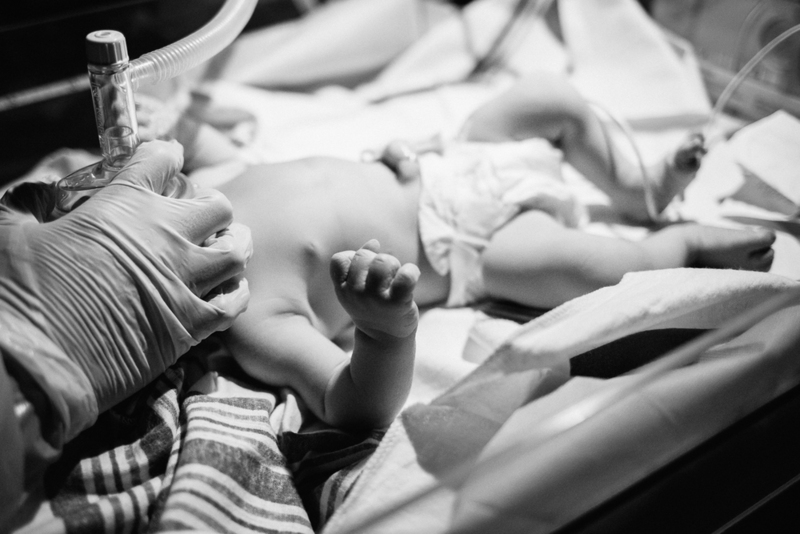 She was also given a pill to help induce labor without pitocin. Throughout the day she kept me updated. 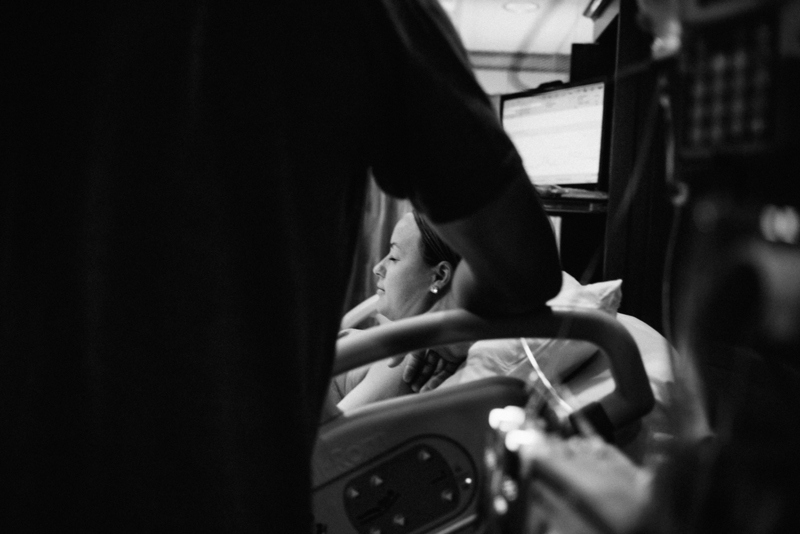 Her progression was very slow, so it was looking like the baby would come the following day. 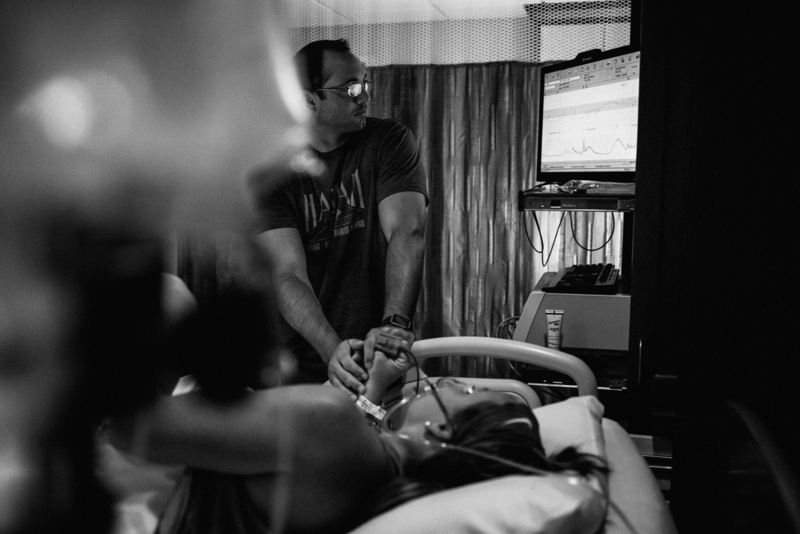 Before heading to bed, we touched base again and she was only 1 cm dilated, but having strong, consistent contractions. I left my cell phone's volume turned all the way up and told her to let me know if and when things changed. At about 1:30 am she updated me that she was 3 cm dilated. I typically head to the hospital once the expecting mother is 6 cm, which is considered "active labor", so I told her to let me know as soon as anything changed. 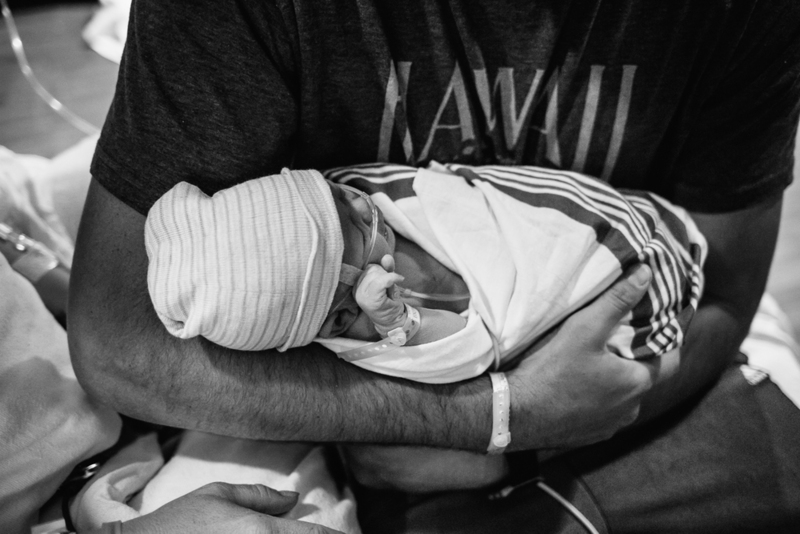 My husband (a fire fighter) was at work, so I texted him that he may need to come home in the middle of the night to be with our baby boy when I headed to the hospital. He luckily had someone ready to come in and work for him, if needed. At 2:30 am Shallon texted me and informed me she was 5 cm dilated. I was gathering up my things, checked on our baby, and ready to walk out the door when Jeffrey got home and received another text message... "I'm 9 now." WHAT! Shallon was progressing very quickly, so I ran out the door as soon as my husband pulled in the driveway. I told her I'd be there in ten minutes. The entire drive I was praying that I would get there in time to document the arrival of their sweet baby. I pulled into a parking space, jumped out of the car and ran all the way to the elevators. Once finally to the fourth floor I anxiously waited for them to buzz me back. The nurse opened the door to let me into Shallon's room and I had no idea what I was going to find. Luckily, there wasn't a baby yet. 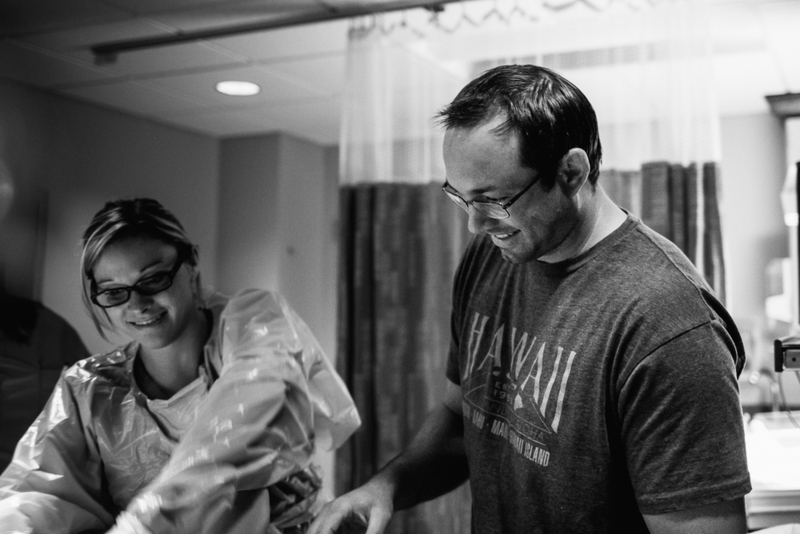 The room was calm and quiet and you could tell Shallon and Matt were ready to meet their baby. I began documenting their journey from there. 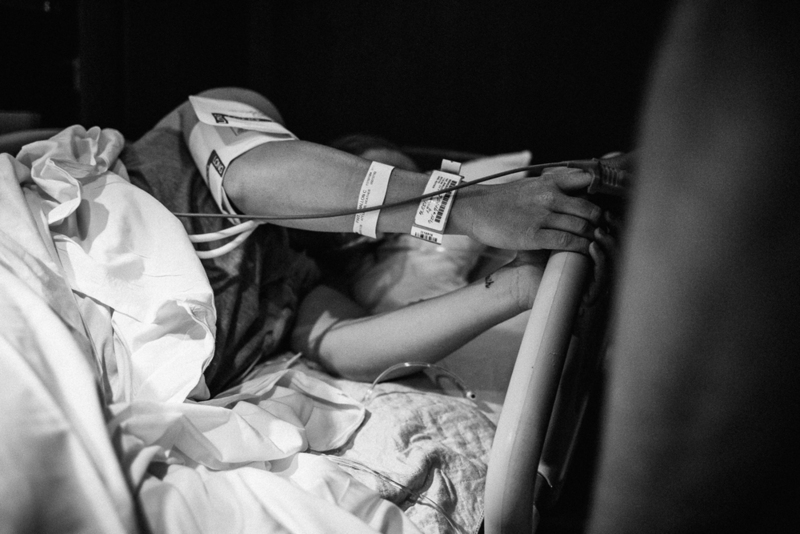 Shallon had, and was continuing through an intense labor. 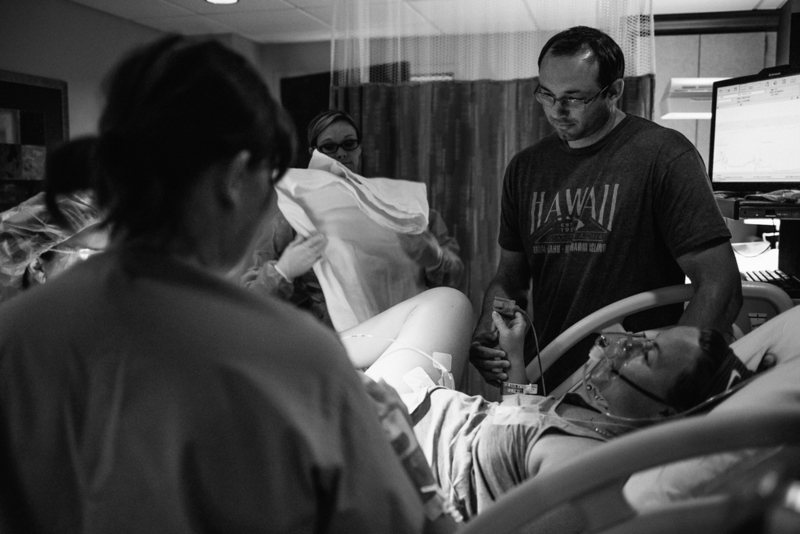 Before I arrived, she had decided to take a small dose of pain medication to help ease the strong contractions, which only intensified her labor. 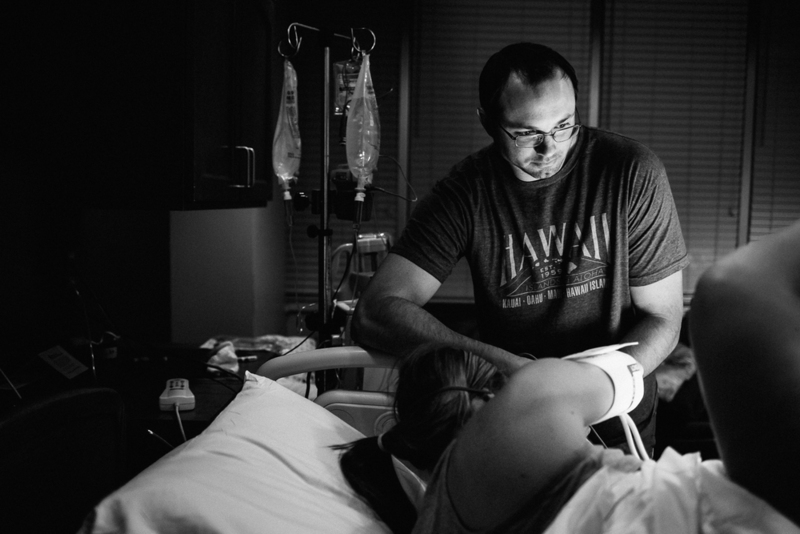 After two hours of extremely strong and nonstop contractions, she asked for an epidural. 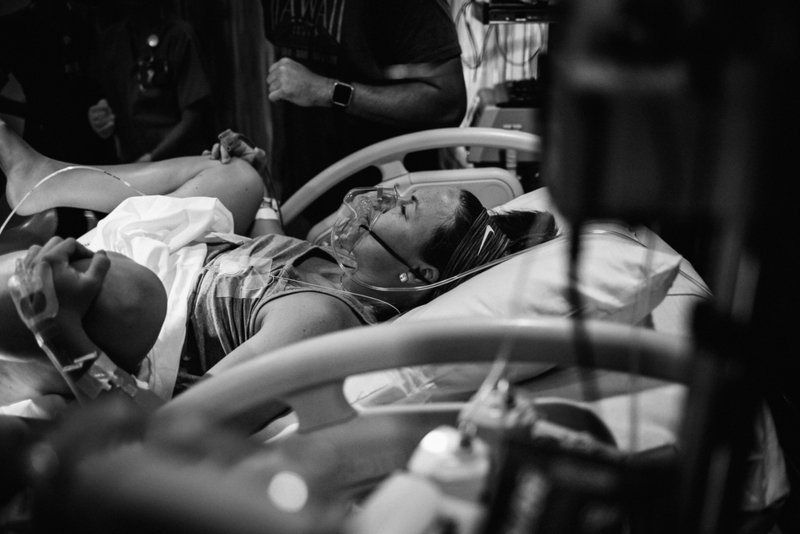 Shallon still did not get rest after the epidural since she had to continuously move from side to side to keep baby Liza's heart rate from dropping. 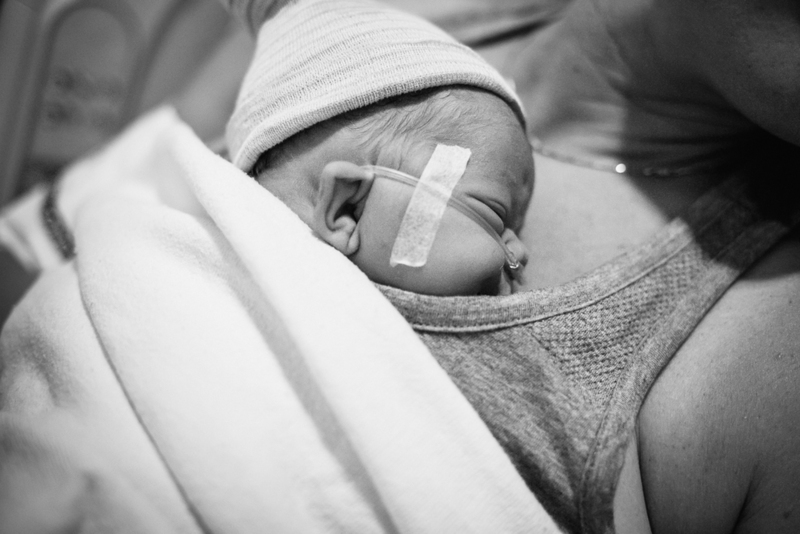 In the two hours after she received the epidural, Shallon had progressed from 1 cm to 10 cm. 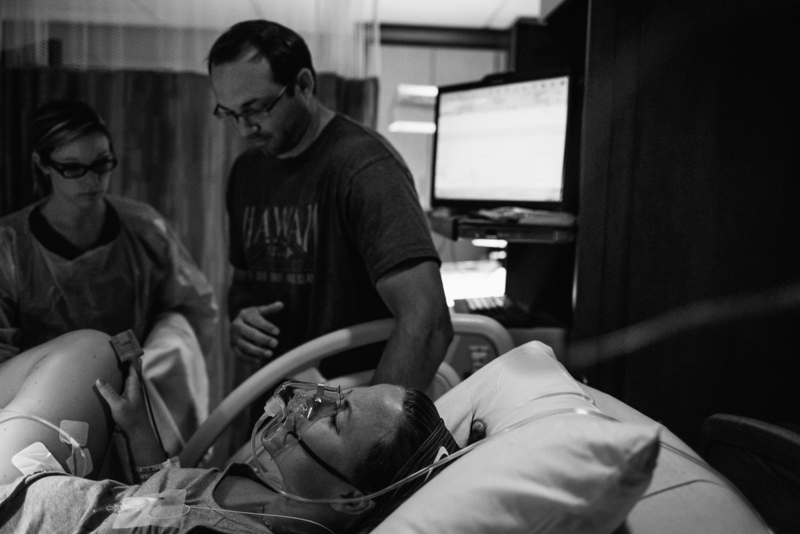 When I arrived at the hospital, it was obvious that Shallon was exhausted from the hours and hours of hard work she'd been enduring and continued to do. 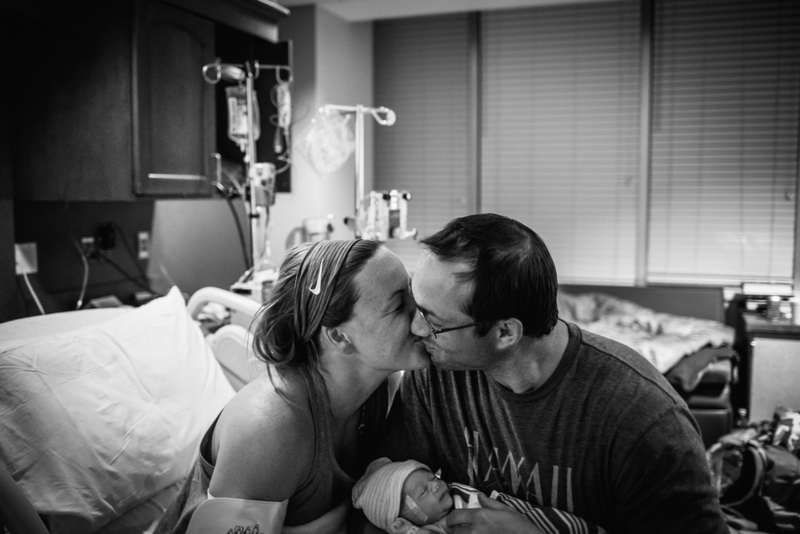 Despite being tired and worn down, Shallon remained positive, focused, and joyful knowing that the end reward was so close and worth every second and ounce of effort it took to bring her baby into the world. Finally, when the moment came and Matt was able to say "it's a girl! ", the happiness and joy that filled the room was indescribable. 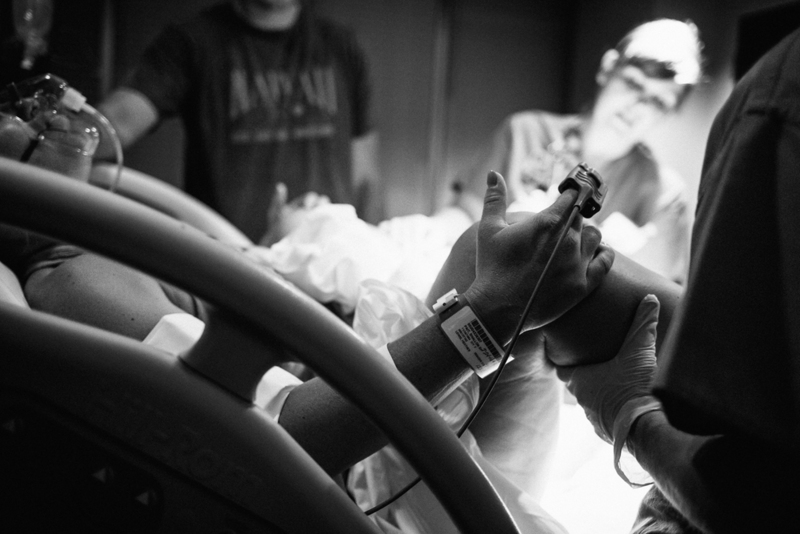 I'm humbled, honored, and so grateful that I was able to document the birth of sweet baby girl, Liza Faith. 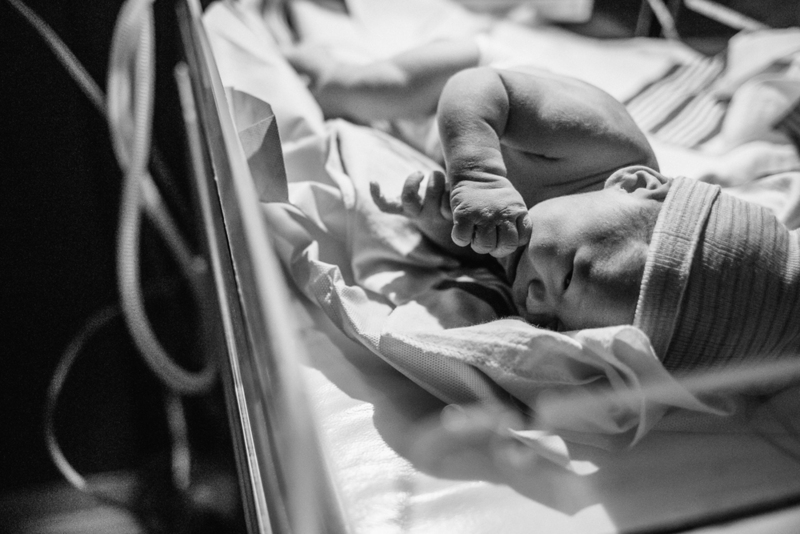 She came quickly and quietly and met her parents with wide eyes, as if to show them that she was just as ready to meet them as they were to meet her. 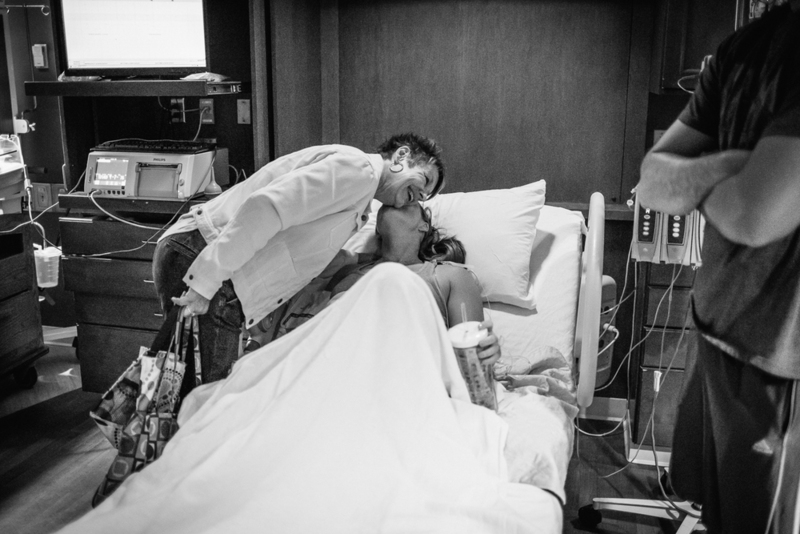 Capturing Liza's first breaths and the family's first moments together is something that I will never take lightly. Those are the moments that a mother and father's most cherished memories are made, and I thank Matt and Shallon for allowing me to be there to freeze it in time for them. Congratulations to you both. Your little girl is perfect in every way!